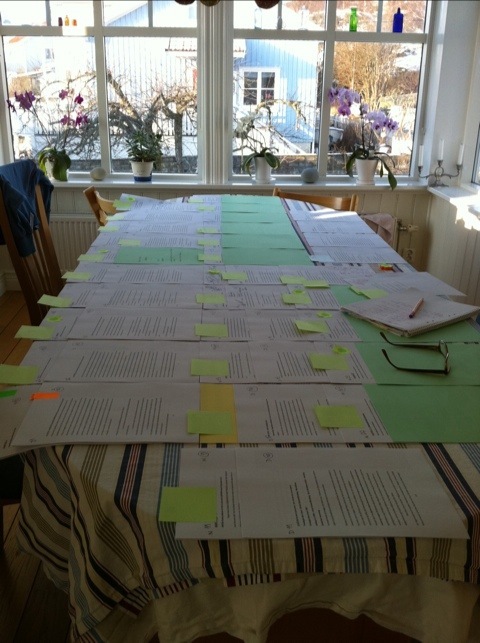 Here's what the script right now - spread out over the kitchen table. Oh yes there is a system in it. Green A4 paper, for example, means that it is a piece of past history there. Yes, it's just to continue!